Sometimes, we should get out of our normal routine in order to get some fresh air to experience new things. And we did just that for our students. 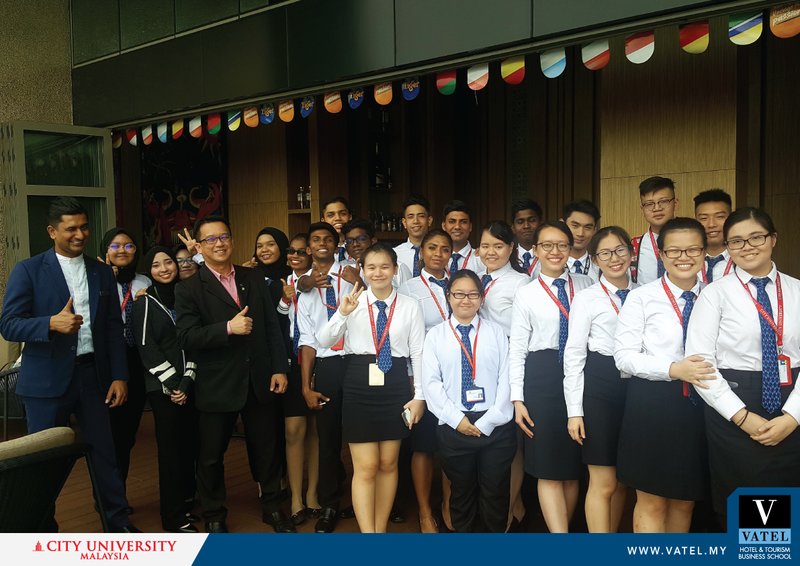 On 6 July 2018, City University Malaysia sent our students to Sheraton Hotel located in Petaling Jaya, Selangor to get some insight in managing a bar by Mr. Reuben (Bar Manager, Sheraton Petaling Jaya). They were introduced to the art of mixing cocktails and mocktails. They learnt that they had to be very particular with the portions for each beverage which needs to be prepared before serving to the customers. 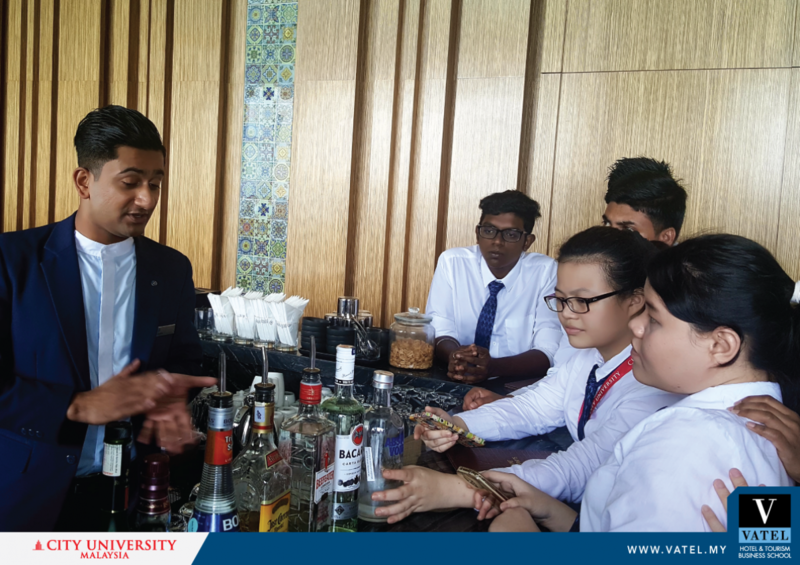 It was indeed an interactive and inspiring session for our students especially getting personal tips from Mr. Reuben on how to carefully manage a bar. 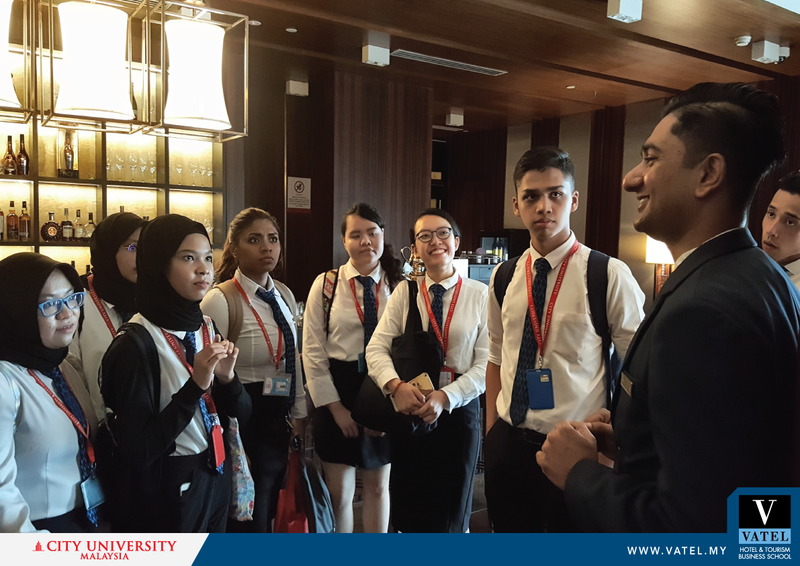 At the same time, our students had the chance to visit several food and beverage outlets of the hotel such as Feast Restaurant, Miyabi (Japanese Restaurant), Yue (Chinese Restaurant), Link (Café), Chime Lounge and Sala Bar. We really hope that with these new experiences that they have gained can be useful for their career in future.